Fuji has just announced its latest X-mount camera: the SLR-styled X-T1, which sits alongside the X-Pro and new X-E2 in the company's current lineup of high-end X-mount models. So, withthese three cameras on the market, how do they stack up against each other and which one should you buy? First, let's start with the undeniable facts. First of all, the X-T1 has the edge in build quality thanks to its 75+ rubber gaskets designed to keep dust and moisture out of the camera, just don't forget to pick up a weather-sealed X-mount lens when they start hitting stores as Fuji has announced 3 such optics. On the viewfinder front, the X-Pro1 wins thanks to its optical viewfinder. Unfortunately, the X-Pro1 is looking rather dated in some areas such as video capability, connectivity, GPS, time lapse recording, and exposure compensation. The X-E2? It's the lightweight in the group, though not without some limitations. If viewfinder is a top concern, get the X-Pro1 as it's the only camera in the group to have an optical viewfinder. If you value portability, get the X-E2. Everyone else? 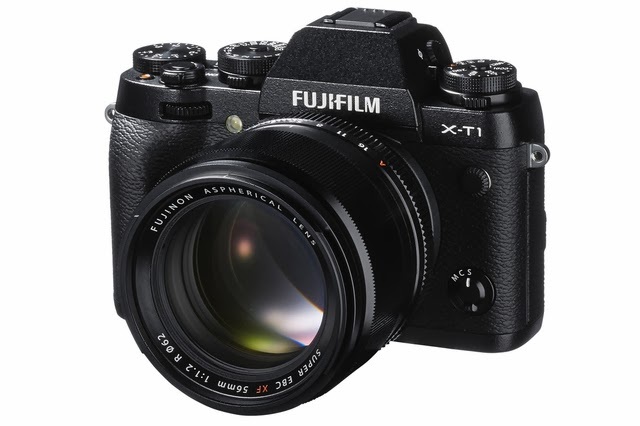 Get the X-T1, especially considering its middle of the road (vs the other 2) price point.